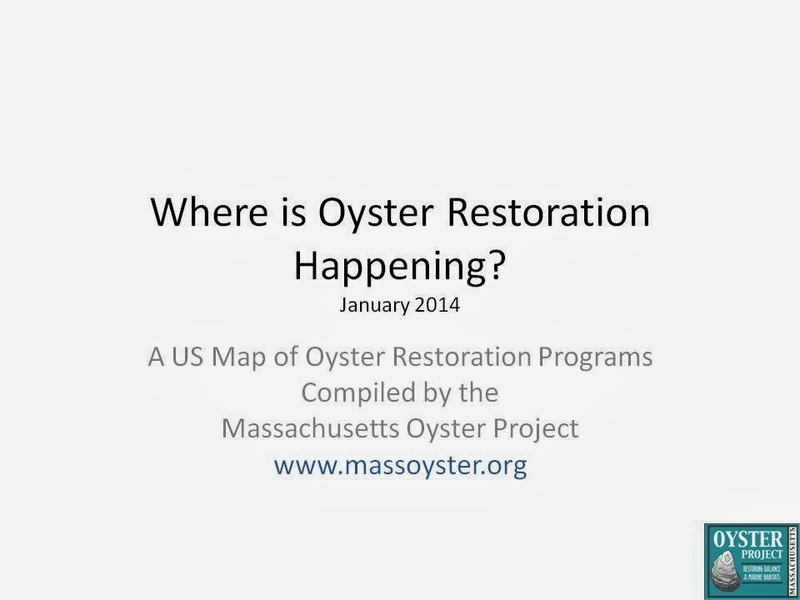 We have been curious about what is going on around the country in terms of oyster restoration and noticed that we could not find a master resource. In this blog you may have read a number of articles on restoration efforts, but there was no master list. Well, we finally assembled that list in the form of a PowerPoint presentation. The presentation can be found among various documents we have posted on slideshare. Press here to jump to the presentation. Getting the link with Slideshare was challenging, so here are a couple of choice slides.Going to the presentation will give you the conclusions as well. And if we missed something- email us. There were a number of interesting things that popped up as we began compiling the locations. 1. 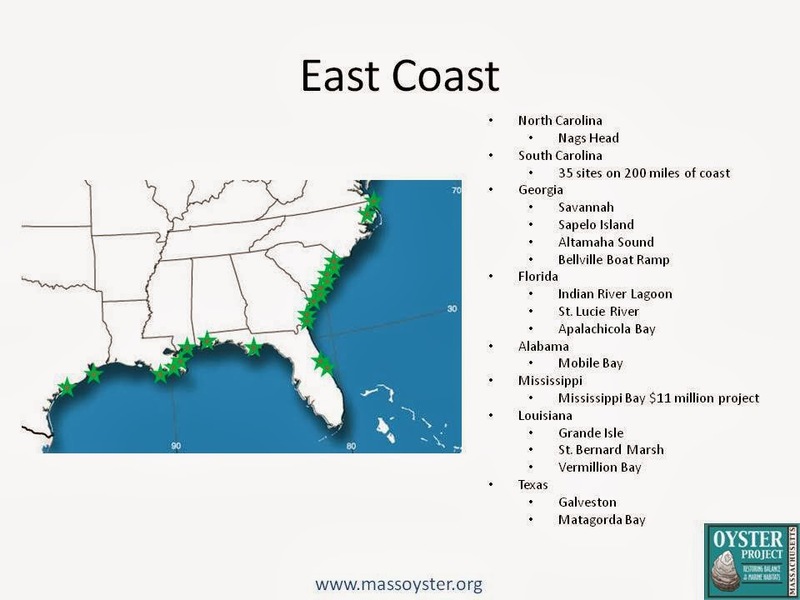 The Nature Conservancy is very active in the field with active oyster reef restoration programs in several states. 2. 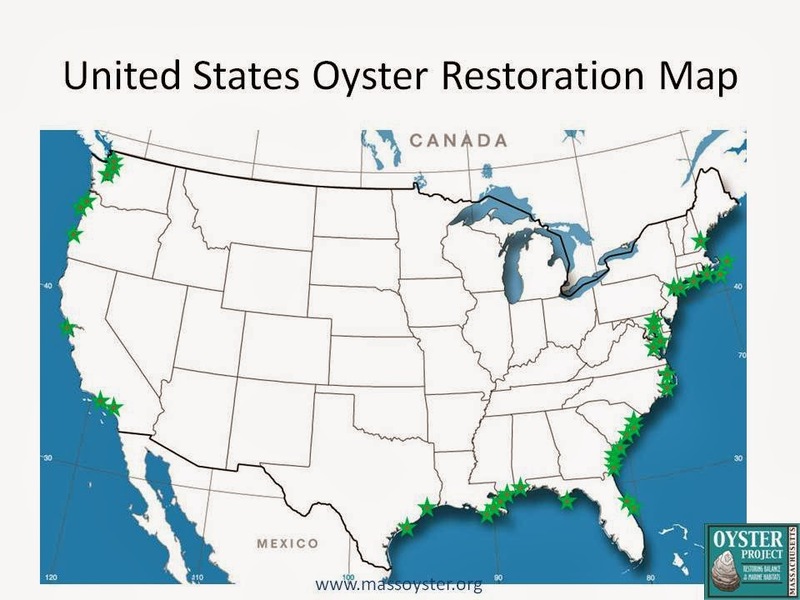 Urban areas are making oyster restoration work; including Galveston TX, San Francisco, CA, Savannah, GA, Baltimore, MD and New York City. 3. The most active state was South Carolina with 35 separate initiatives. 4. 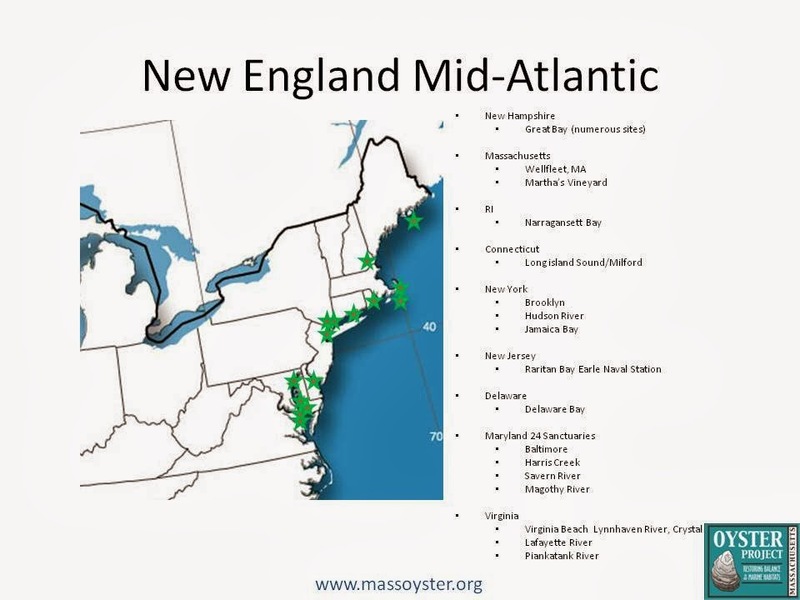 The mentioned motivation for restoring the oysters boils down to several main areas, improving biodiversity and habitat, improving water quality, fostering the species survival, and improving aquaculture.